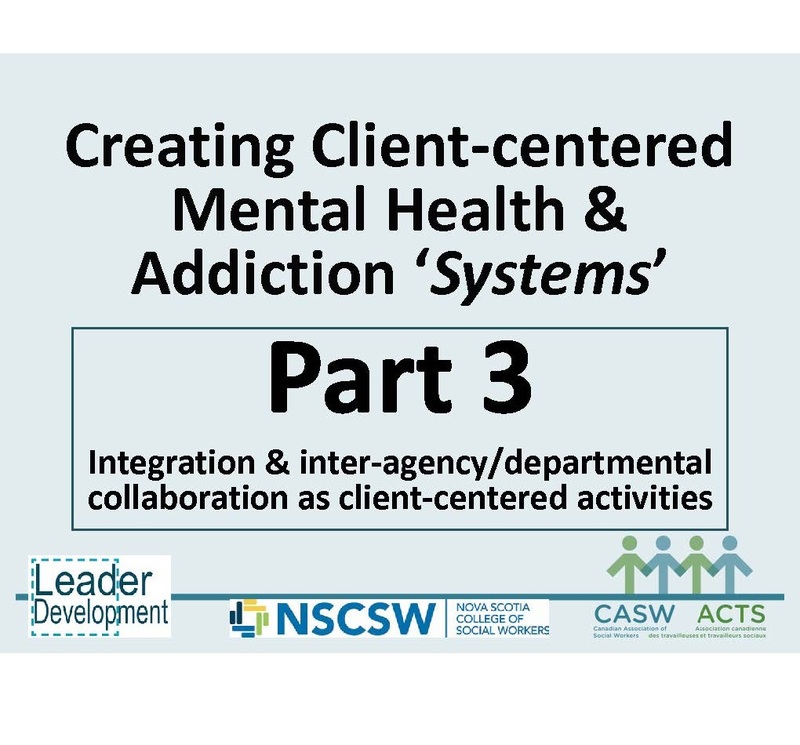 To learn how the concept of client-centeredness applies to integration of mental health and addiction programs, and to inter-agency and interdepartmental collaboration. To learn to identify the specific barriers to effective program integration, or effective inter-agency and interdepartmental collaboration. To learn concrete methods that you can use, to create effective and client-centered program integration, or inter-agency and interdepartmental collaboration.